Hi, lovelies! Happy FRIDAY! TGIF! What are your plans this weekend? I will be meeting some friends and baking a caramel apple pie for Mama Nosh! Mmmmmmm…..
Have you tried making salted caramel brownies yet? Today is National Eat What You Want day. I do not make this stuff up! 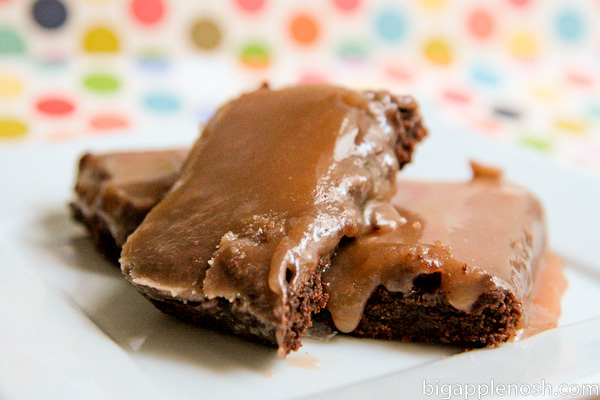 I wouldn’t mind eating some salted caramel brownies right now. If could eat anything today, what would it be? Event: The Dirty Dancing 25th Anniversary Celebration with Skinny Cow! i’ve been craving goose liver pate. the kind with the jelly on top from the supermarket. on krackel bread.